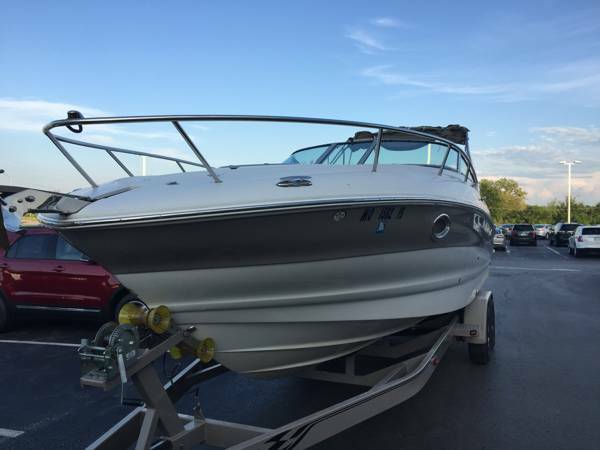 This 25 ft Crownline Deck boat is in very good condition all the way around. The trailer is ready to go to its next destination. Everything works as it should according to the seller. Seller mainly used for all water sports on local lakes. 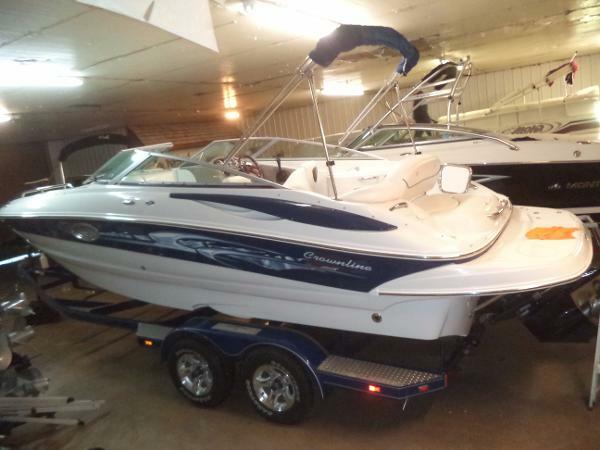 Fantastic ski, wakeboard and tubing boat with a ton of room. Stock #160186 EXCELLENT CONDITION! READY TO HIT THE WATER TODAY! BRING THE FAM! 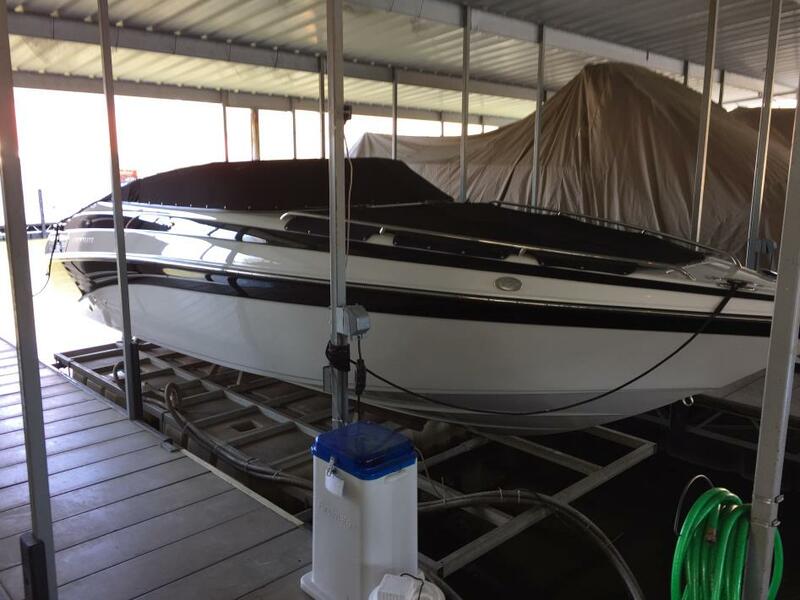 If you are in the market for a deck boat, look no further than this 2003 Crownline 239 DB, just reduced to $23,500 (offers encouraged). 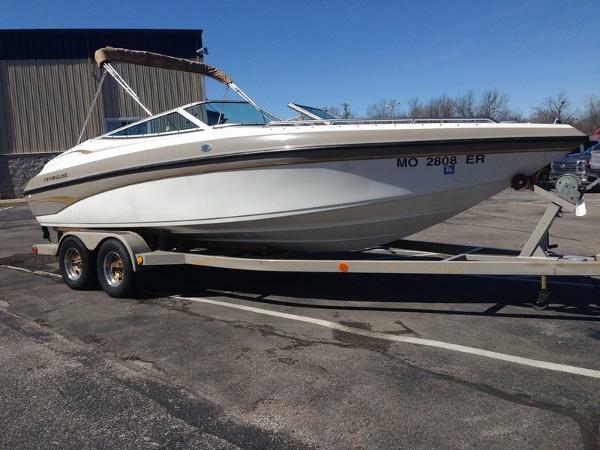 This boat is located in Sunrise Beach, Missouri and is in great condition. She is also equipped with a Mercruiser engine that has 700 hours. 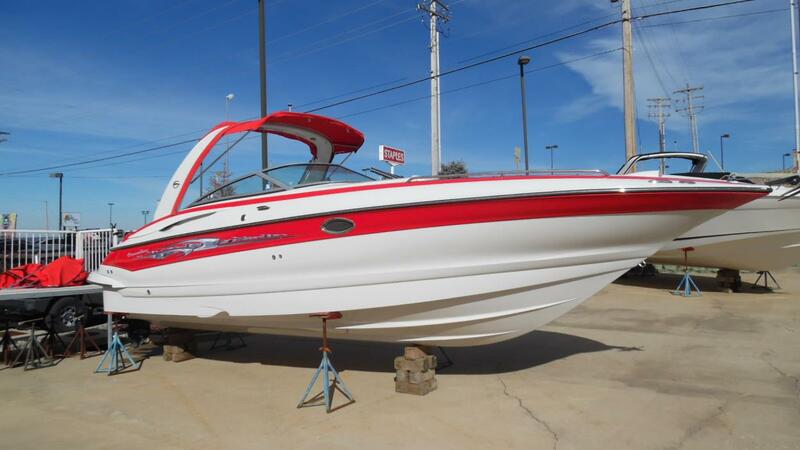 Per the Seller: 2008 Crownline 250CR with 340 hrs on the Mercruiser 350 mag engine, Bravo Three out drive. This Boat is equipped with a windlass anchor system, heat/ac, microwave, electric stove, refrigerator as well as other comforts. 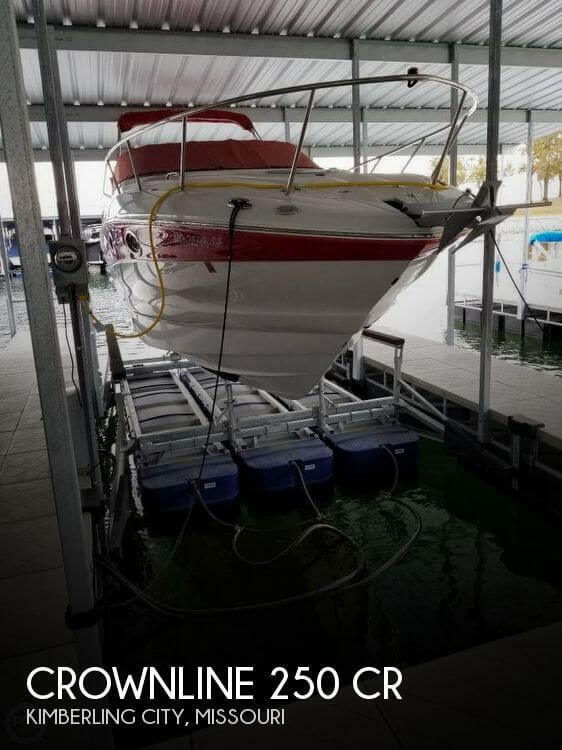 Boat is kept on a lift out of the water Stock #161094 Good Condition, Loaded with features. Ready for the next adventure. 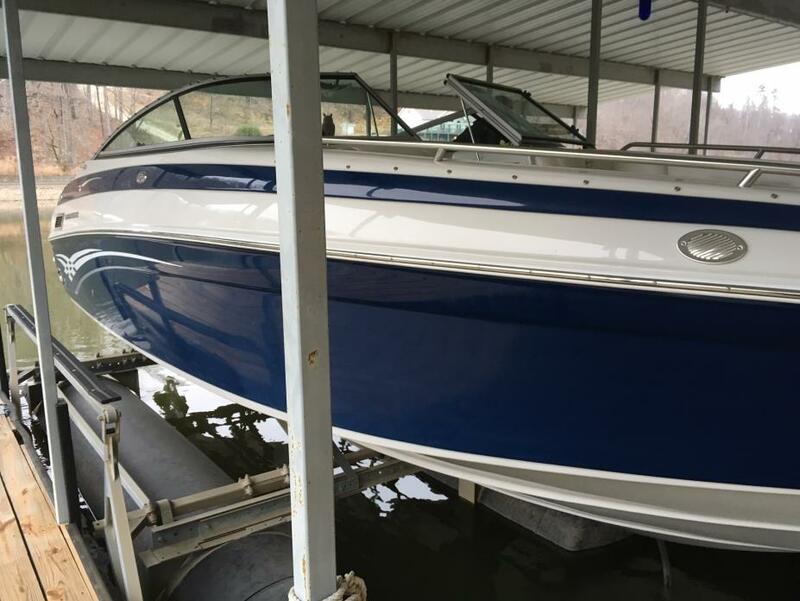 If you are in the market for an express cruiser, look no further than this 2008 Crownline 250 CR, priced right at $45,000 (offers encouraged). 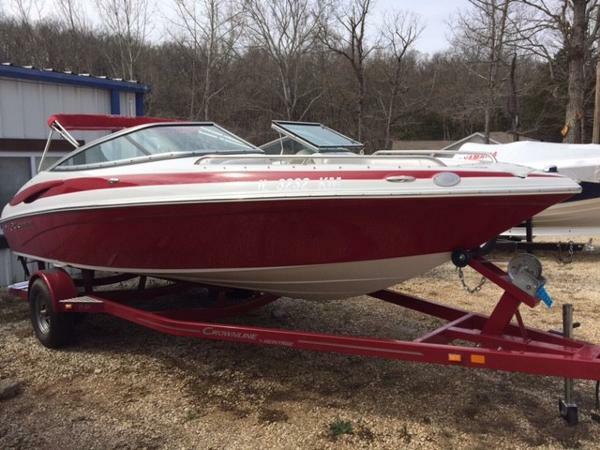 This boat is located in Kimberling City, Missouri and is in good condition. 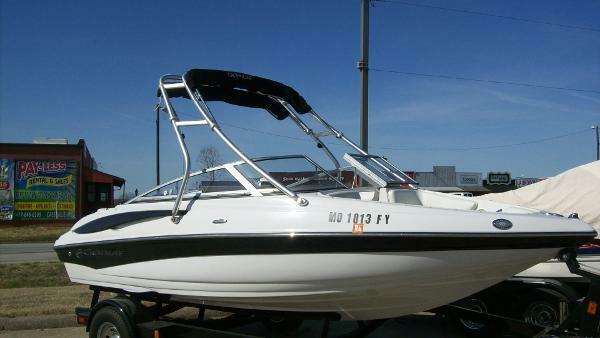 She is also equipped with a Mercruiser engine that has 335 hours. 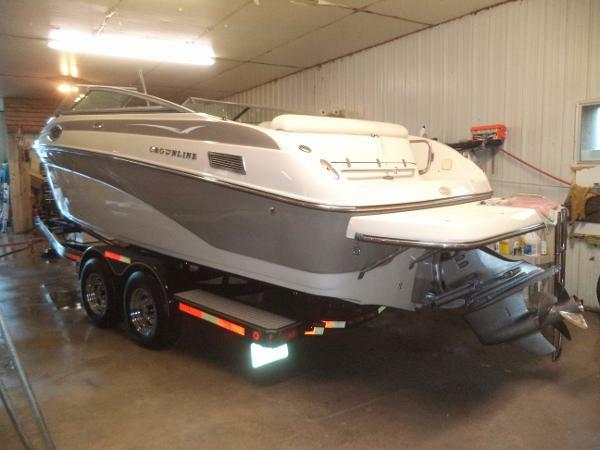 2009 Crownline 240 LS Entertain in style. Get away in comfort. This is the point at which superior design meets superior execution. The 240 LS was the first with "hot tub" style bow seats. The U-wrap cockpit seating has a comfortable 14 degree recline angle. The exciting, optional Social Swim Transom and high-tech entertainment system enhance your on-water experience. The focus is on fun! 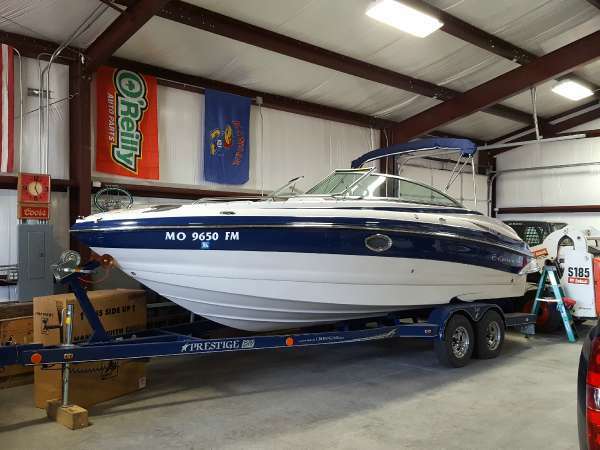 - ABSOLUTELY GORGEOUS & COMES WITH TRAILER! 2003 Crownline 266 BR The Crownline 266 BR is a large bowrider with a list of standard features almost as long as its running surface. The Super Sport version boasts a luxuriously large sundeck and lounge seat. Optional fill-in cushions convert the bow into a large playpen area. A vinyl "small items" storage bag and mesh "damp items" storage bag are thoughtful features. 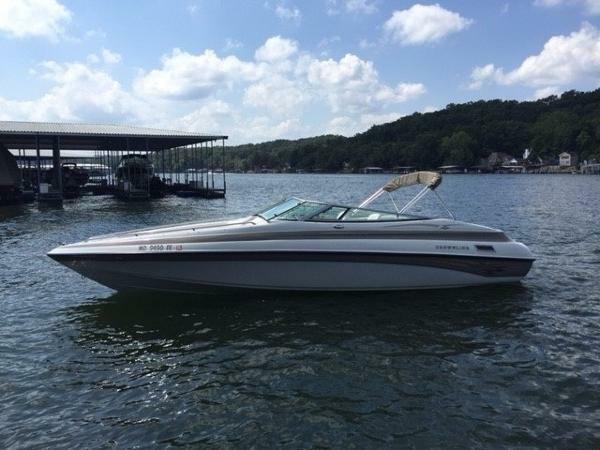 2009 Crownline 185 SS It's big fun and big value in a taut, compact package for a day on the lake. This agile bow rider really shines when pulling skiers and wakeboarders. Loaded with Crownline standards, it adds up to one sweet ride. 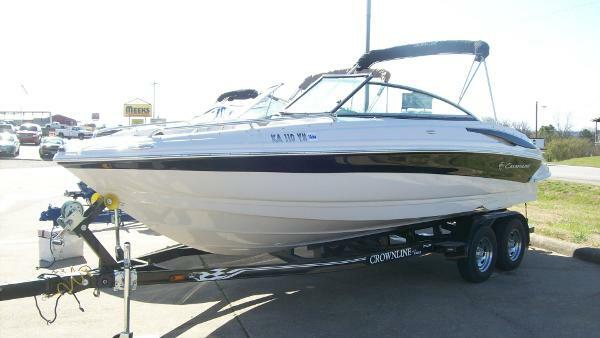 2005 Crownline 316 LS, 2005 Crownline 316 LS with twin 350 Mags and Bravo 3's. 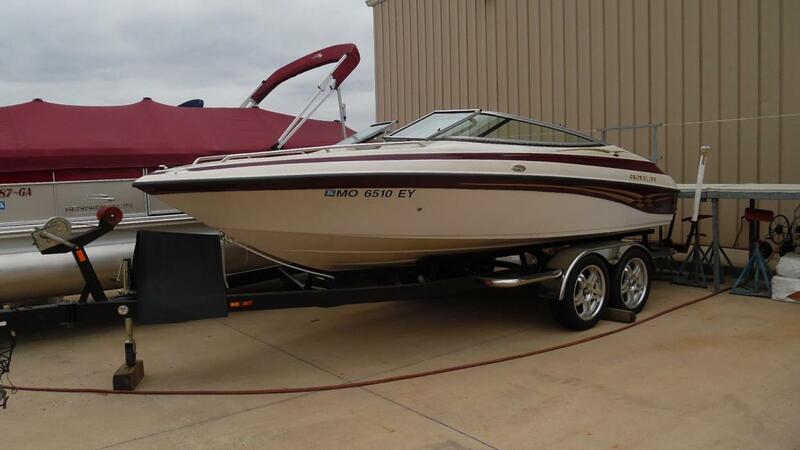 Very clean boat, low hours, and well maintained. Boat is located at Kelly's Port Showroom. For more information please call (573)348-3888 or Rob at (573)280-1866.